It has been one year since Zoltán Kocsis left us, leaving behind a gaping hole, along with a task: to collectively preserve and nurture his legacy. On November 6th, his orchestra performs a memorial concert. Since Erno Dohnányi, there has not been a musician who stood on three pillars as pianist, conductor and composer like Zoltán Kocsis. Under the batons of Zsolt Hamar, who is continuing Kocsis's work at the helm of the Hungarian National Philharmonic, and Péter Dobszay, the orchestra will be playing only works that can be considered symbolic, either because their content constitutes a gesture of commemoration - such as Liszt's Three Funeral Odes - or because they recall one chapter or another of Kocsis's illustrious career. Beethoven's Piano Concerto No. 4 in G major evokes in all of us the rebellious figure - like the magical wandering student of folklore - of the young, practically still adolescent, Kocsis. It was with this composition that the 18-year-old won Hungarian Radio's Beethoven piano competition in 1970 and suddenly became nationally known, albeit only within a narrow circle, as a young artist of great promise. Nor is it a coincidence that this piece is being interpreted by none other than the extraordinary Russian phenomenon Denis Kozhukhin, a pianist of both depth and virtuosity. Budapest audiences got to know him a few years ago when Kocsis conducted him as a guest soloist of the National Philharmonic. László Sáry's composition also requires no explanation: written as a tribute, it also serves as a reminder of the close relationship Kocsis fostered with contemporary music throughout his career, in particular with the New Music Studio that was so close to his heart. And last but certainly not least, the most important chapter of the great artist's repertoire: Bartók. Each of the Four Piano Pieces were converted into a new symphonic form worthy of Bartók's spirit by the composer's great apostle. The concert will be preceded by a screening for ticket holders at 6 pm of the film made of the performances of two Richard Strauss works, Friedenstag and Daphne, in 2015. 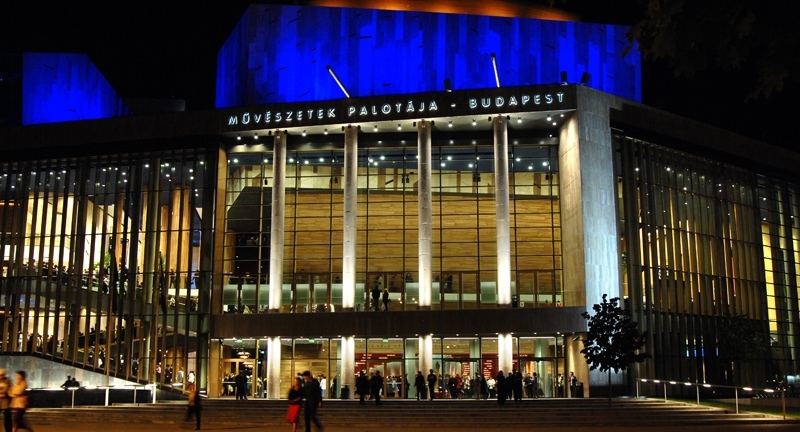 The recording shows Zoltán Kocsis conducting the Hungarian National Philharmonic. The performances were directed by Csaba Némedi, the documentary was produced at Müpa, the film editor-director was Judit Várbíró.